Home Feature Article Are you a migrant worker in Korea that needs a free consultation in labor? Are you a migrant worker in Korea that needs a free consultation in labor? 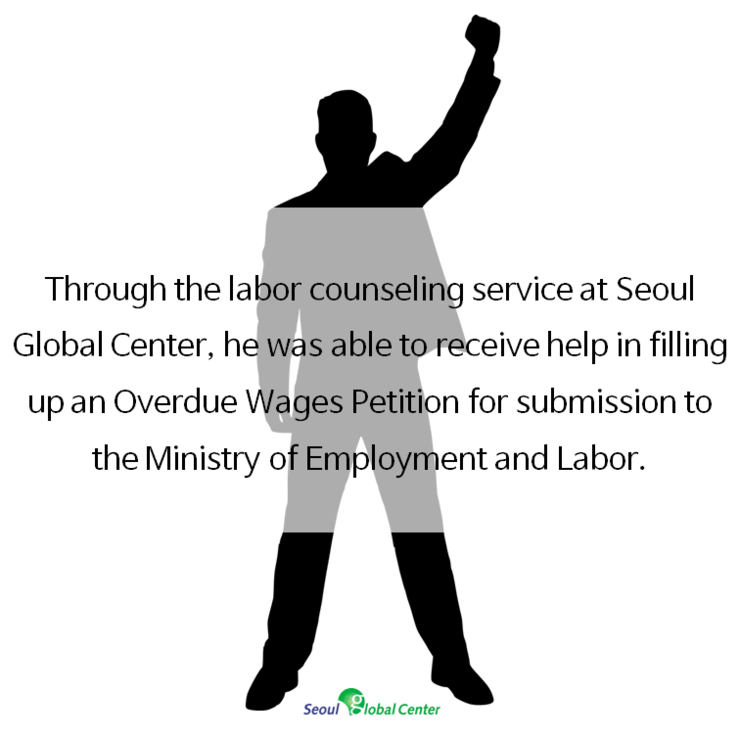 Seoul Global Center Daily Living Consultation Team houses certified Public Labor attorneys who provide professional counseling services to foreigners on labor issues including industrial accidents, overdue wages, severance pay, and unfair dismissal. 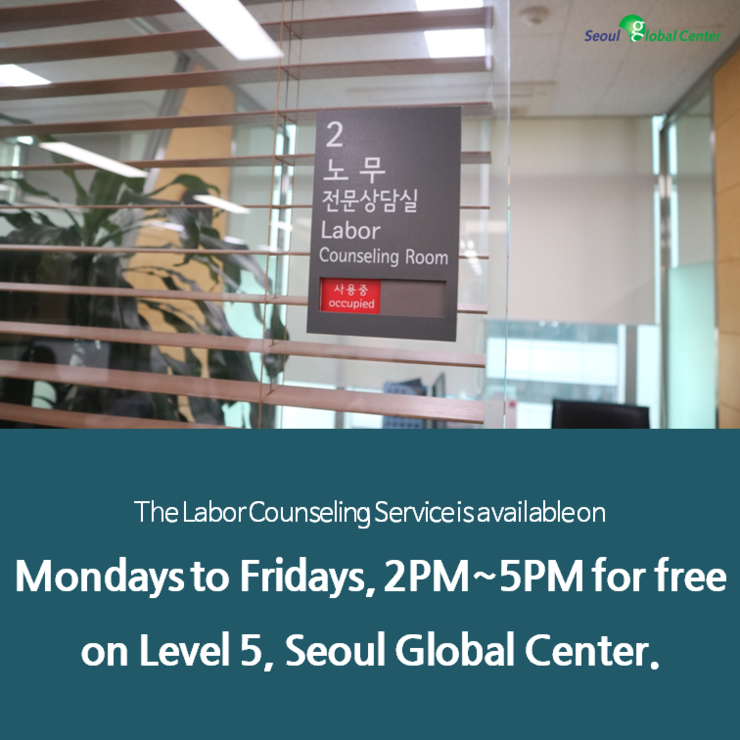 The Labor Counseling Service is available on Mondays to Fridays, 2PM~5PM for free on Level 5, Seoul Global Center. 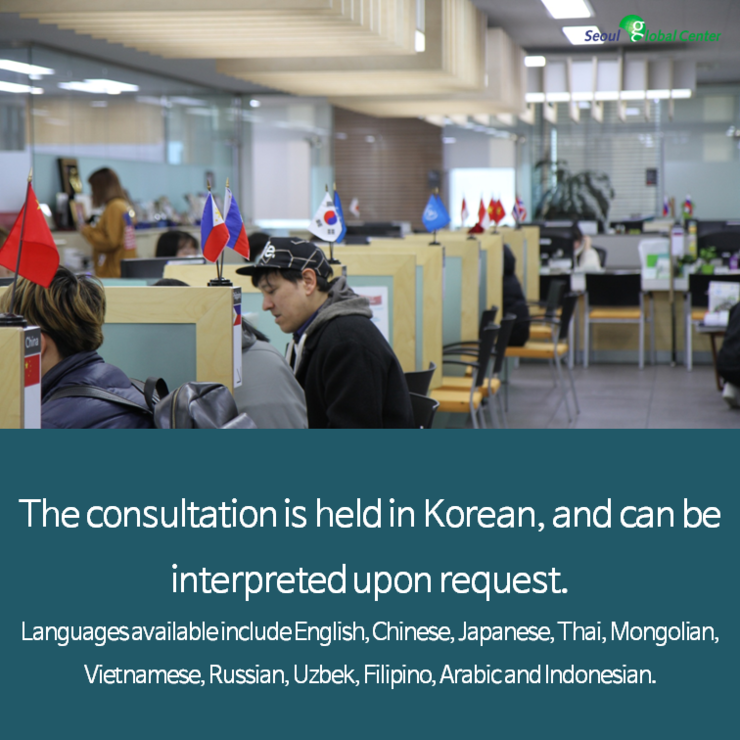 The consultation is held in Korean, and can be interpreted upon request. Languages available include English, Chinese, Japanese, Thai, Mongolian, Vietnamese, Russian, Uzbek, Filipino, Arabic and Indonesian. Foreign residents can receive consultations on labor issues for free up to 3 times and are required to call in advance to arrange a time slot.